US Secretary of State Mike Pompeo has said he has seen all the intelligence possessed by the US on the murder of Saudi journalist Jamal Khashoggi, and said that no direct evidence links Saudi Crown Prince Mohammed bin Salman to the incident. "I have read every piece of intelligence that is in the possession of United States government," Mr Pompeo said in an interview with broadcaster CNN in Buenos Aires on the sidelines of the G20 summit. "When it is done, when you complete that analysis, there's no direct evidence linking him to the murder of Jamal Khashoggi. That is an accurate statement, an important statement and it is a statement that we are making publicly today," he said. Asked if the Central Intelligence Agency had concluded with "high confidence" that Prince Mohammed, de-facto ruler of Saudi Arabia, was involved, Mr Pompeo said: "I can't comment on intelligence matters, CIA conclusions." The CIA has assessed that the crown prince ordered the 2 October killing at the Saudi consulate in Istanbul of Washington Post columnist Khashoggi, a critic of the Saudi crown prince. 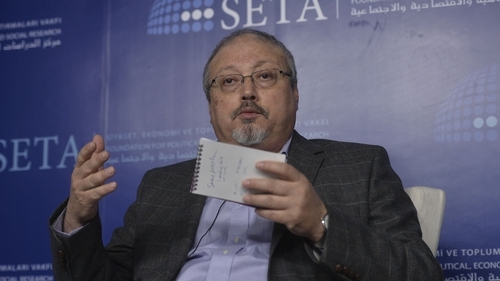 After offering numerous contradictory explanations, Riyadh later said Mr Khashoggi had been killed and his body dismembered when negotiations to persuade him to return to Saudi Arabia failed. Turkish President Recep Tayyip Erdogan has demanded that Saudi Arabia extradite suspects in the killing in of Mr Khashoggi, adding that a trial in the kingdom was not satisfactory. Mr Erdogan said that only Canadian Prime Minister Justin Trudeau raised the Khashoggi death at the G20 summit and that Prince Salman gave an "unbelievable explanation" of Riyadh's role in the case. French President Emmanuel Macron said that he told Saudi Arabia's Crown Prince Salman that G20 nations wanted "clarity on the facts of the Khashoggi case". US President Donald Trump has sought to cast doubt on the CIA assessment that the prince ordered Mr Khashoggi's killing, telling reporters the agency had not formed a definitive conclusion. Many US senators have said they believed otherwise. Mr Pompeo said the United States was working with Saudi Arabia in Afghanistan and against Iran, and that Riyadh was "an enormous support" for Washington. "They're a relationship that has mattered for 70 years across Republican and Democrat administrations alike ... We're aiming to keep that relationship," he said.